As we’ve expressed many times before, we have a great fondness for old movie theaters, and for years we’ve made a sport out of identifying old theaters which have been converted to new and different uses. Many of these old buildings possess some characteristics which make you stop and think, ‘hey, maybe this used to be a movie house.’ Telltale signs include an old marquee (‘natch), some unique architectural flourishes on the facade, or a size and/or shape that aren’t in context with the surrounding properties. 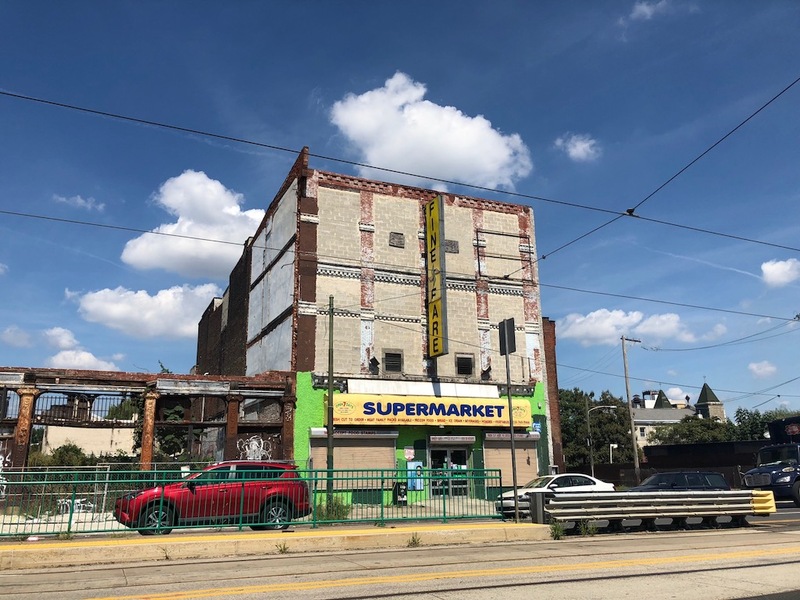 It’s item #3 that gives away the former Girard Theatre at 625 W. Girard Ave., since the building’s detailed facade and its marquee both disappeared several decades ago. 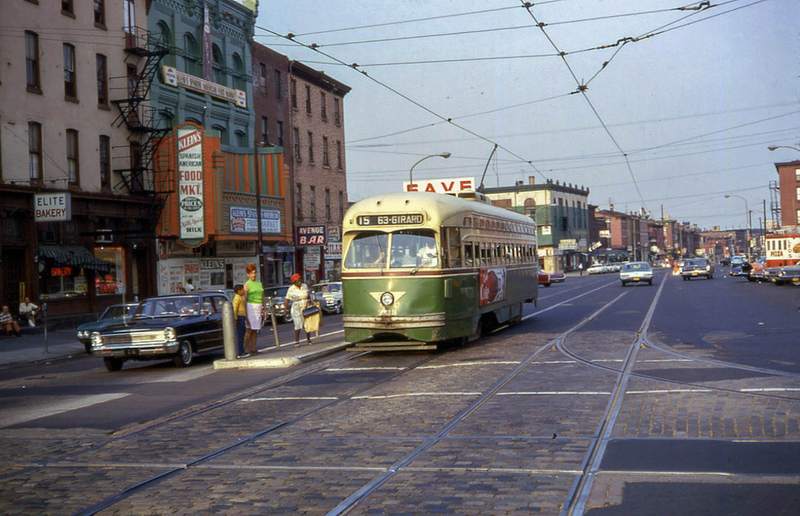 View of the building in 1968. Image from Hidden City. We first brought this property to your attention back in 2012, revisiting it in 2014 after the adjacent buildings were torn down and checking in again the next year when we heard about plans to redevelop a long blighted lot on the other side of the property. Through it all, the former theater has been operating as a Fine Fare supermarket, utilizing the front of the building for shopping space and nominally using the rear section of the building, the former auditorium, for storage. Hidden City did a story several years ago and included photos of the inside of the supermarket, which showed some original details sticking out of the drop ceiling, and the still-intact auditorium space. Rest of the building on Marshall St.
Just a few days ago, we told you about a new foundation on N. 7th St., just around the corner from this property, and we also mentioned that a sizable street-to-street property nearby could get redeveloped soon. So it goes without saying that there’s plenty of demand for real estate in this area. And it should come as no surprise that developers purchased the Fine Fare building at the end of last year, paying $1.1M. 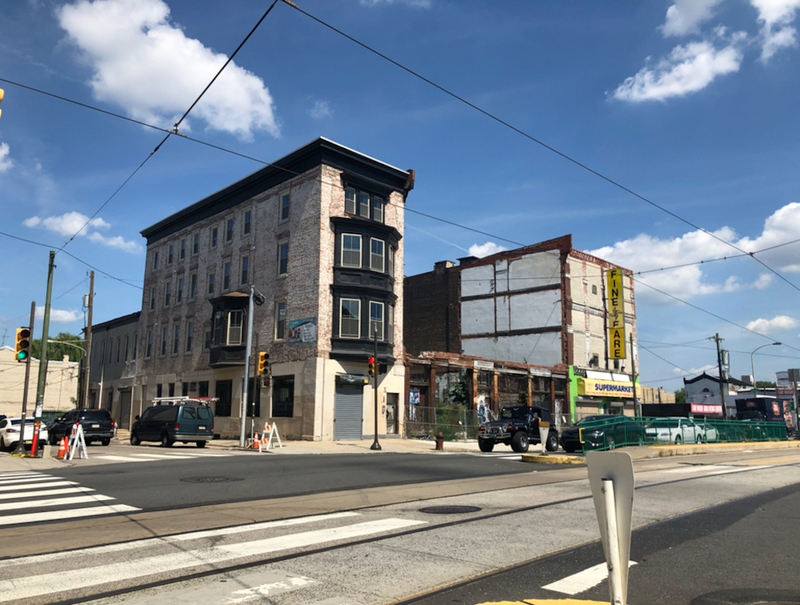 Over the summer, these developers applied for a demolition permit, and now the clock is officially ticking on the supermarket. We don’t see any construction permits just yet for the property, but with CMX-2.5 zoning, the owners have a variety of by-right approaches they can take, if they’re so inclined. 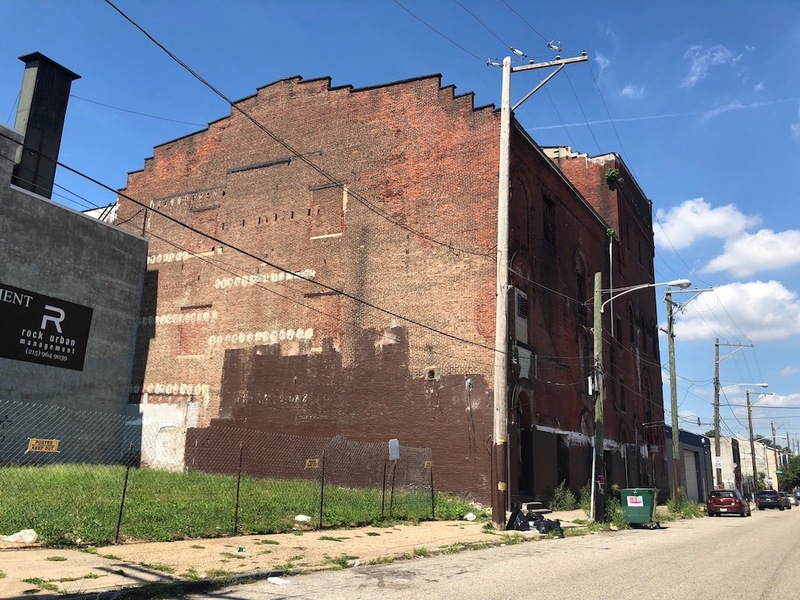 Perhaps, if something starts moving forward with this property, we’ll see additional development on the block, whether it’s the vacant lots to the east or the seemingly stalled project to the west. In the meantime, we’re planning to visit the supermarket sometime soon to ask if they’ll let us take a tour of their storage room before the old auditorium is gone forever.